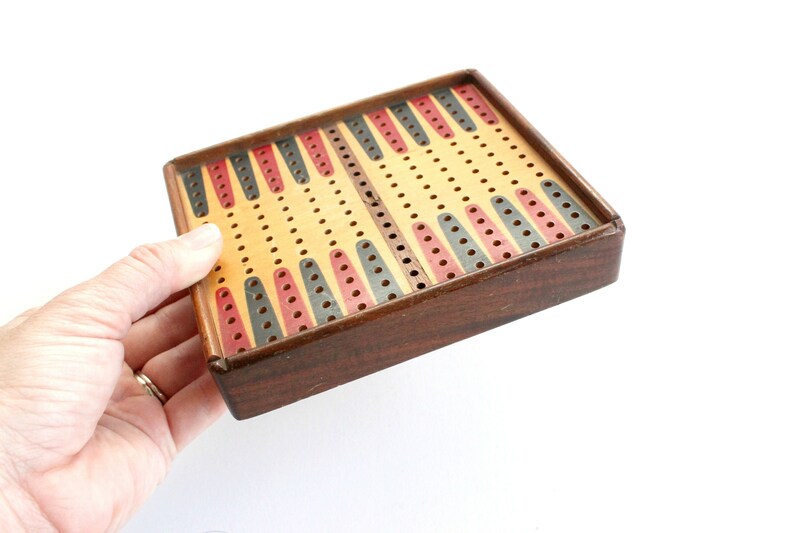 Vintage travel sized Backgammon game. 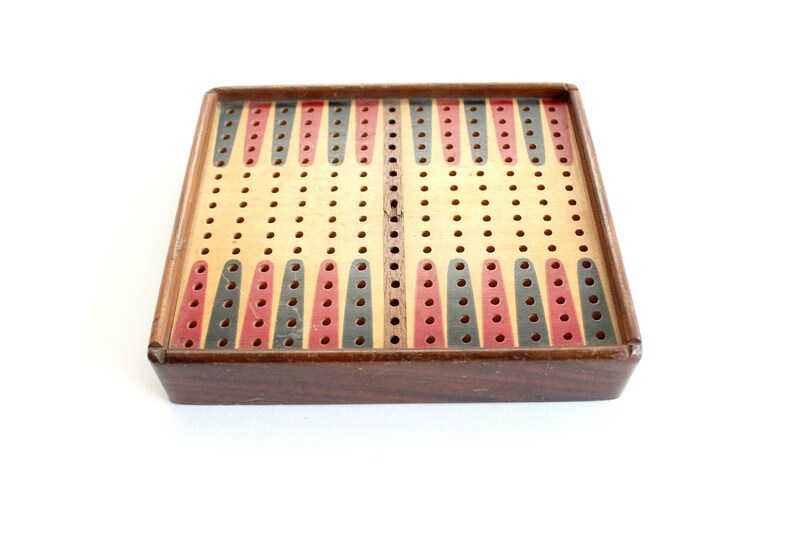 Small Backgammon pegboard game made of wood. 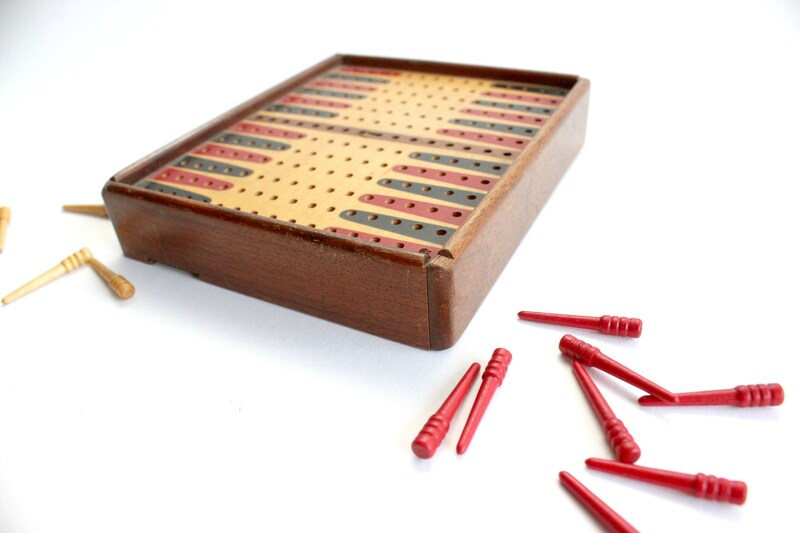 Game includes 1 board, 15 red pegs, and 15 brown pegs. 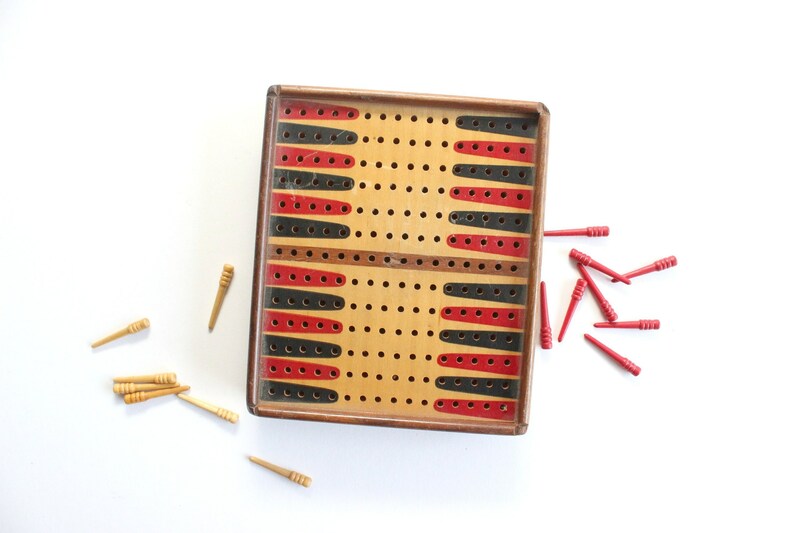 Two brass plates on the bottom side of the board slide open to house the pegs. 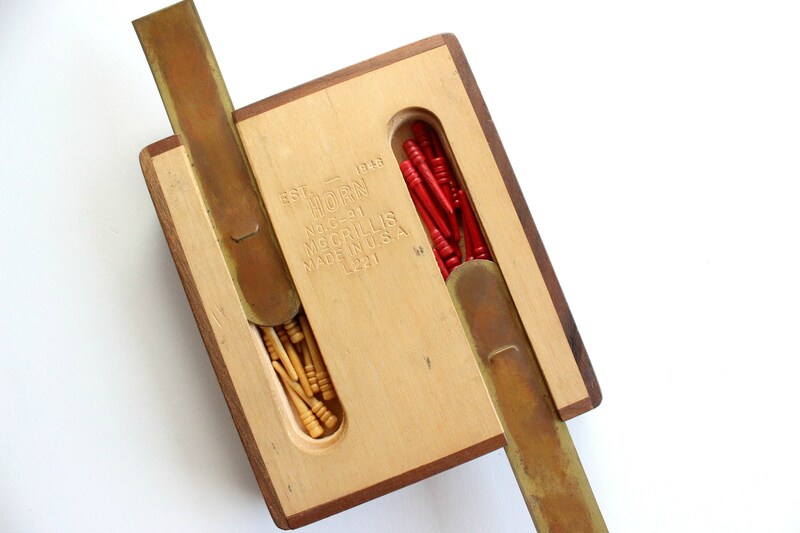 Made in the USA by Horn McCrillis, Est. 1846, No. C-91. Vintage/used condition. Scratches can be seen and some wear at the corners. 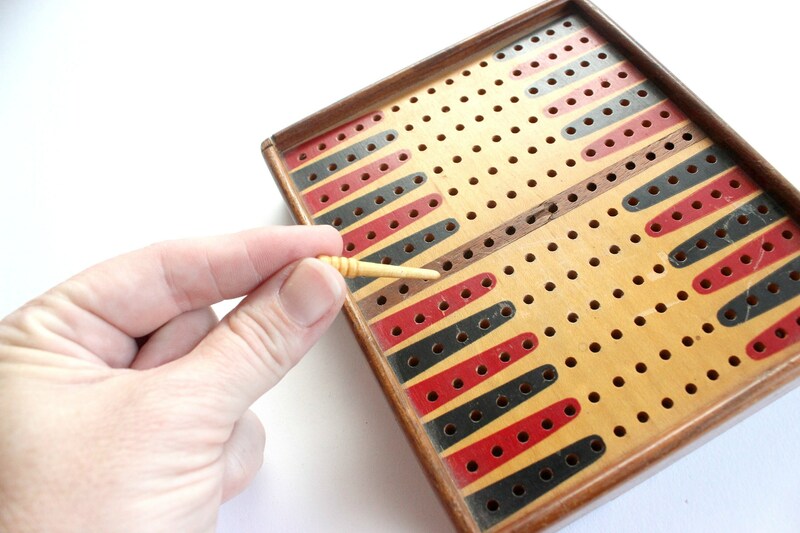 One tiny chip at the very center. 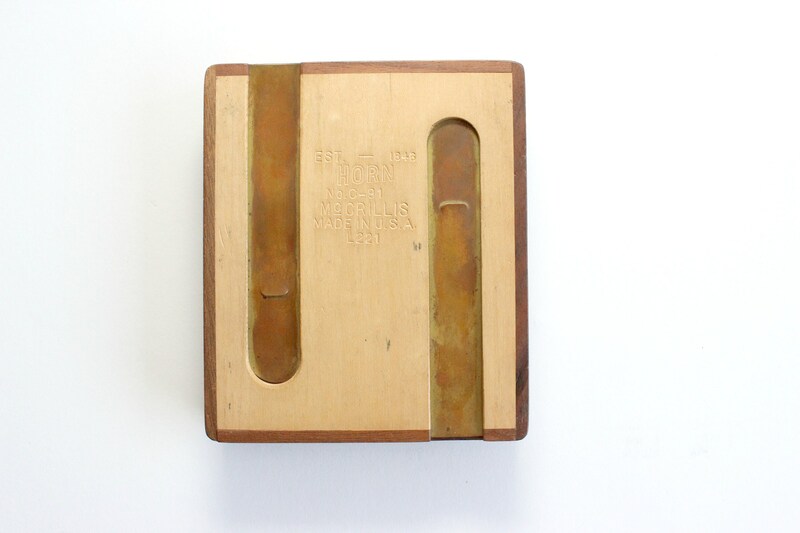 Measures 5.5 inches long, 4.5 inches wide and 1 inch tall.